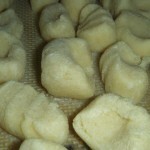 Such a simple ingredient list: potatoes, AP flour, salt and egg; but a tricky product to make. 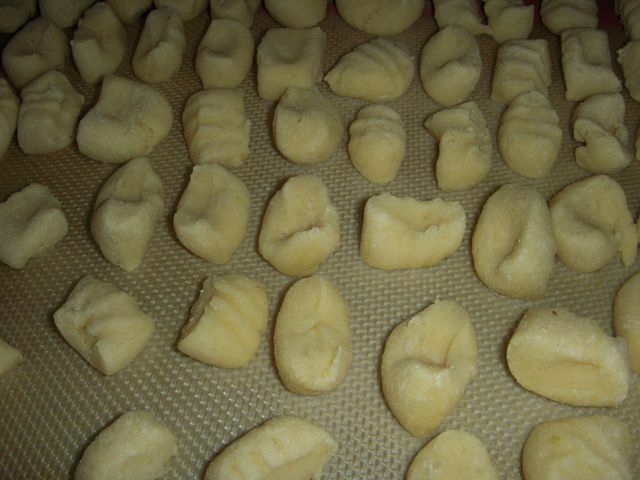 That has been my relationship with gnocchi. It’s only a couple of ingredients so what could possibly go wrong? Plenty. 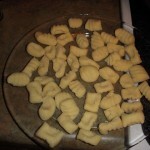 The first and only rule in my opinion for making gnocchi is don’t cook the potatoes in water. 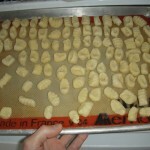 If you have ever glanced through an gnocchi recipe online or in a cookbook. They more then likely tell you to boil the potatoes with the skin on to fully cook them. Resist the temptation, and embrace modern technology, that being the microwave. Think about it. 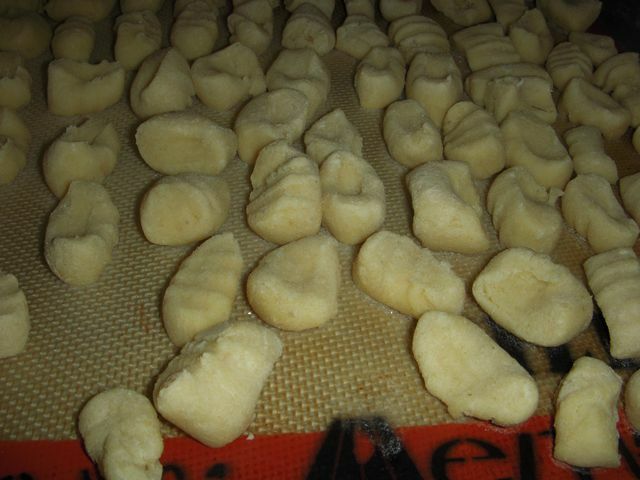 Why risk not having the gnocchi turn out, because the boiling water has compromised the original moisture content of the potatoes. 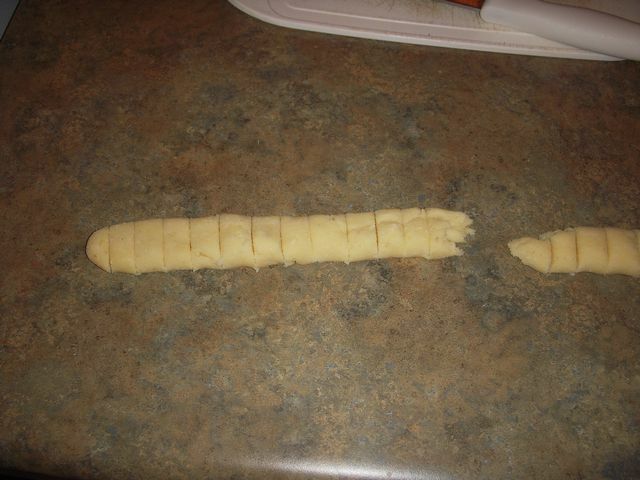 When microwaving the potatoes is a better option. 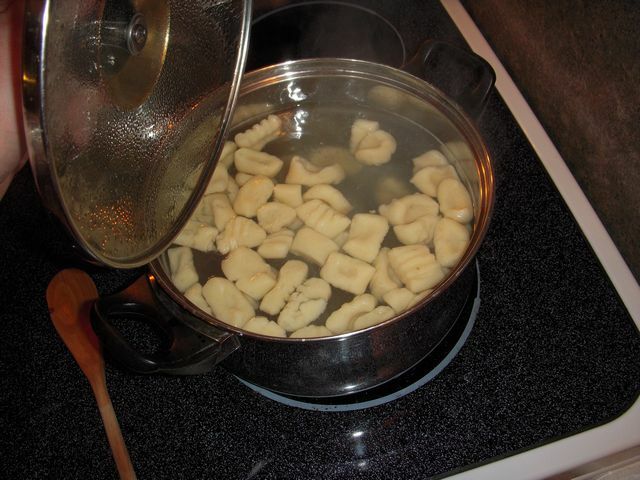 Since the only moisture you want in the recipe is from the potatoes and eggs, not from the boiling liquid. 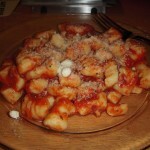 The recipe that I ended up using is below, and it is based on the recipe from this website. So what I ended up doing was baking the potatoes in a 350F oven for an hour as in the original recipe, but they weren’t fully cooked after the oven time. 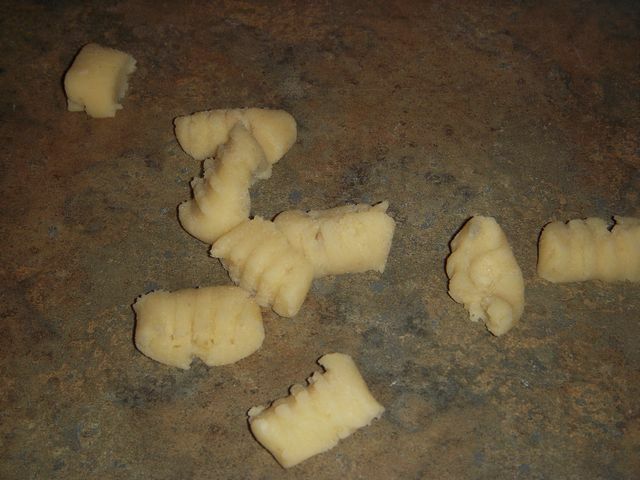 So I put them in the microwave for 5 mins on high to finish the cooking. 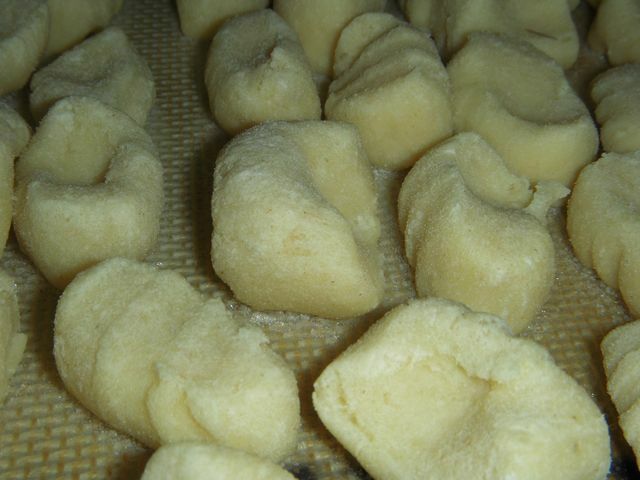 If I were to make gnocchi again, which I plan on doing. 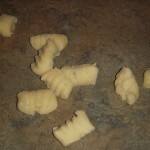 I’m going to skip the oven completely and fully cook the potatoes in the microwave. 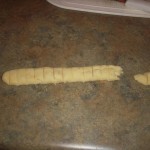 Since it would have saved me an hour of wasted oven time. 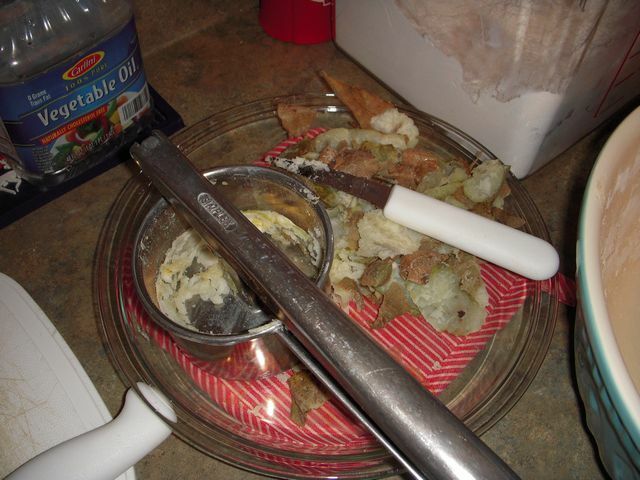 After the potatoes were done cooking, the skins were removed, and the potatoes were put through a ricer into a large mixing bowl. 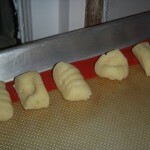 I let the potatoes cool for a couple of minutes, before adding the salt, flour and eggs. 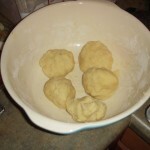 A couple of minutes of hand mixing and I had a pretty goodlooking dough on my hands for the first time ever. 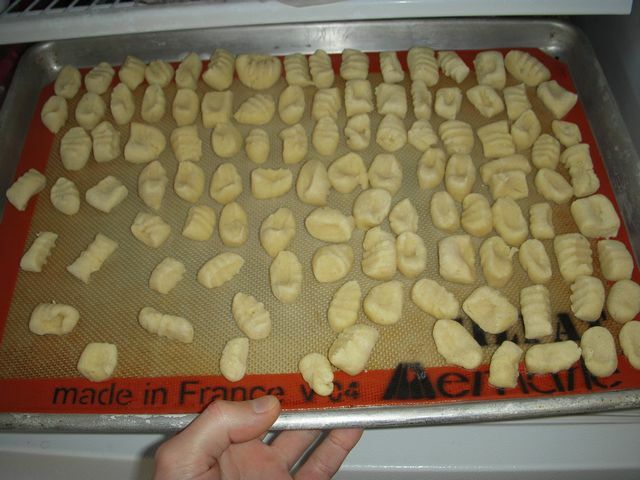 After the usual rolling, cutting and forming I had a whole half-sheet pan of gnocchi. I only ended up making a plate full for dinner, with the rest placed in the freezer to use at a later date. 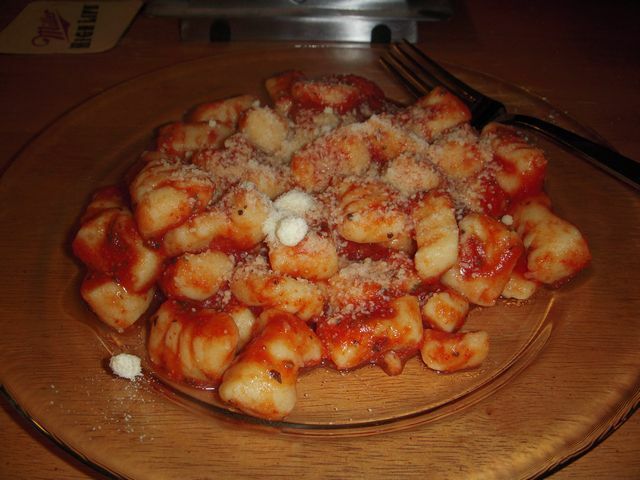 But overall I was very happy with how the gnocchi turned out. 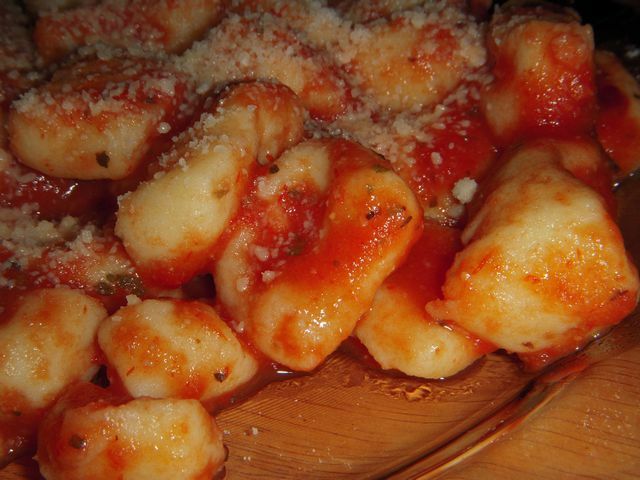 Maybe next time I’ll add a little more salt then just a pinch, but this recipe is a great starting point for making gnocchi. 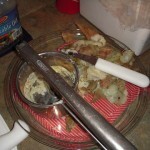 1) Scrub then poke the potatoes with fork tines to vent moisture as the potatoes cook. 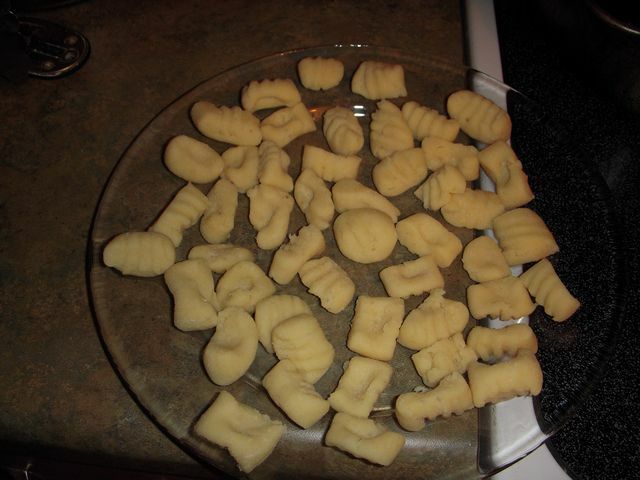 Put the potatoes on a microwave safe plate and cook in the microwave for about 10 minutes. After the cook time has elapsed, don’t open the microwave, but leave the potatoes in the microwave for a couple of minutes to gain any residual cooking. 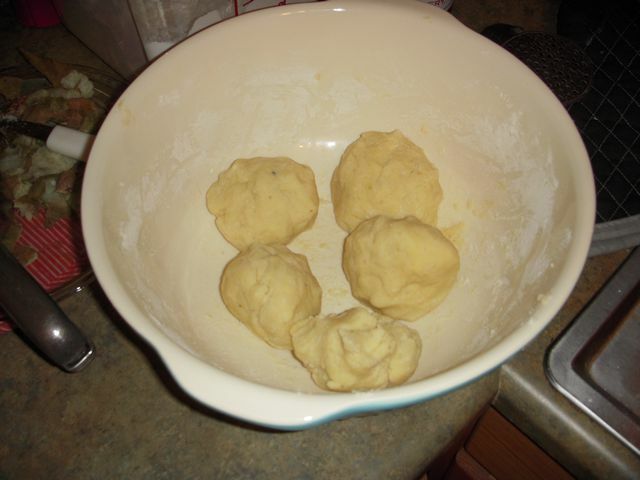 2) Peel the hot potatoes, then pass through a ricer into a mixing bowl. Allow to cool for a minutes or so. 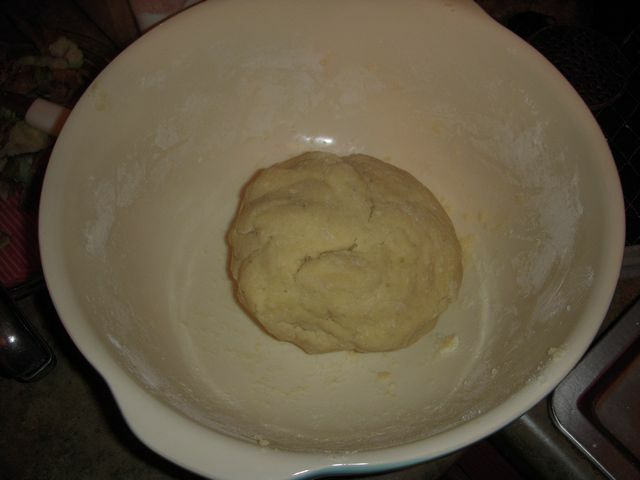 3) To the riced potatoes add the flour, eggs and a pinch of salt. 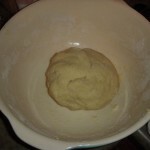 Mix by hand until you have a nice pliable ball of dough. 4) Divided the large ball into about 6 smaller balls. 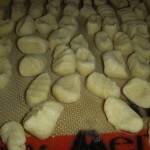 Roll the smaller balls into 3/4″ rope snakes. 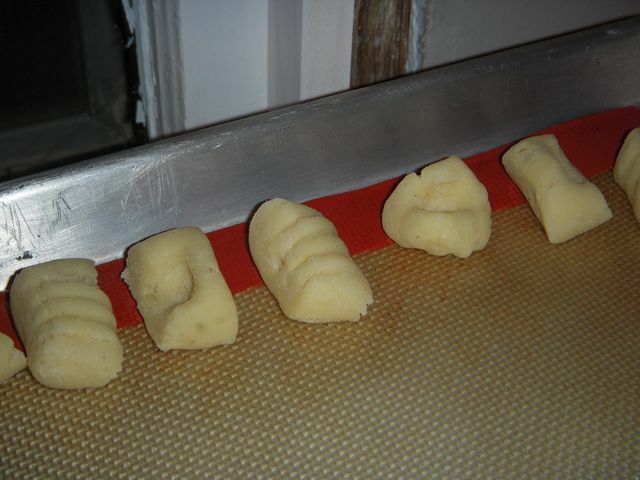 Cutting pieces about 1/2″ length from the rope. 6) Bring a pot of salted water to a boil. 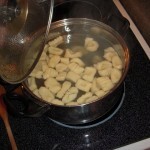 Add gnocchi to the boiling water. 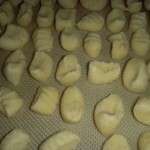 When they float to the top, they are done cooking. 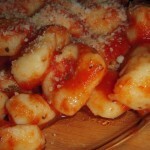 You can then add the gnocchi to whatever sauce you want, from sage browned butter, vodka cream or basic tomato sauce.